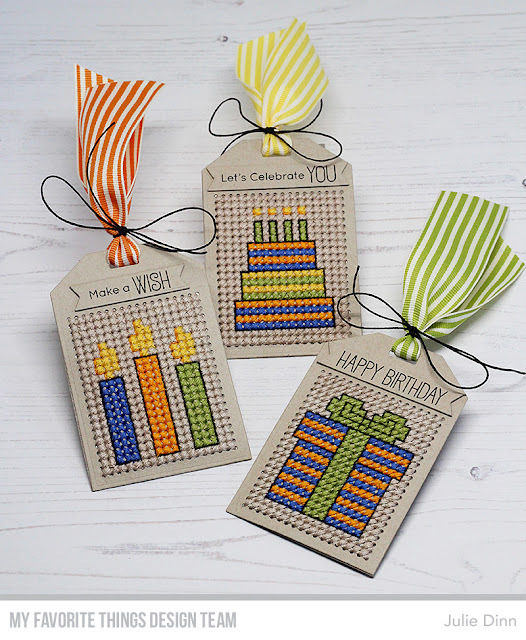 We are back with another edition of Stitched with Love, this month we are focusing on birthdays. 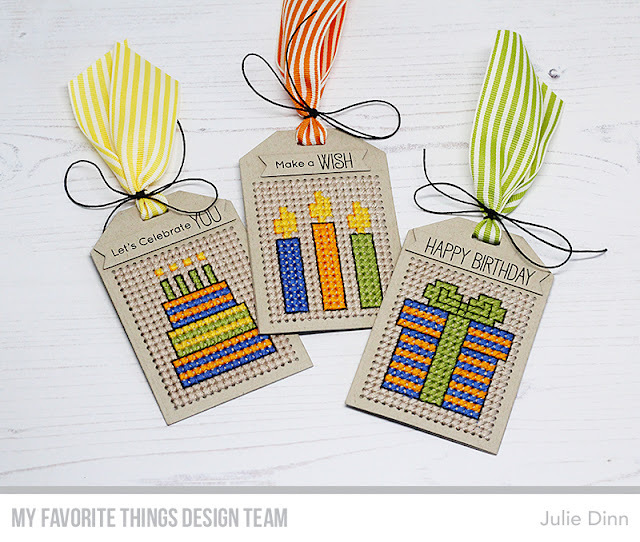 I created three tags using the new MFT birthday patterns, that can be found in the resources section of the MFT website. 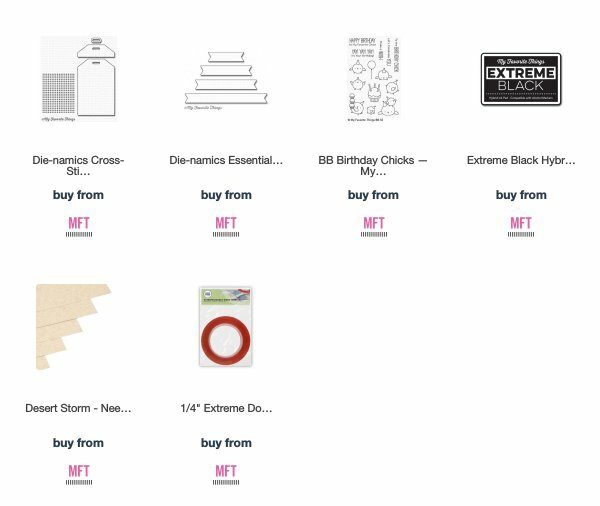 I die-cut the tags in Desert Storm card stock. I used some fairly bold colors, but I wanted to make the images pop a little more, so I outlined them with one strand of black thread. I topped off the tags with some wide striped ribbon, and a piece of black twine.